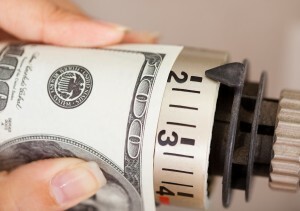 Oil Heat continues to be the best choice for reducing the cost of high energy pricing. 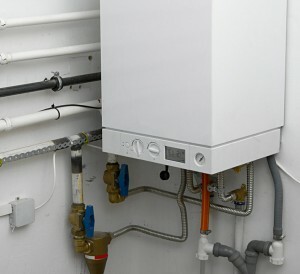 This post will outline some of the best reasons to choose heating oil for your home or office. Choosing heating oil is a safe, efficient, and modern option for all of your heat and hot water needs. Upgrading from an old piece of equipment can greatly reduce your oil consumption, with some estimates as much as 30-40% but that would be determined by how outdated or in poor repair your current system is operating. In this day and age of high energy pricing of all types, investing in conservation and efficiency is the smart choice. The safest and most efficient means to heat your home or business, choose oil heat as your next upgrade to reduce energy usage and costs. This stable, combustible, non-explosive product does not have the safety concerns that surround other fuels. Heating oil is a very efficient fuel source compared to other natural gas, propane, and electricity with a higher BTU content (equally measured) found in a gallon of oil. Gas heat equipment gives you no warning of carbon monoxide (CO) production where an oil system will warn you with smoke, soot or an odor before releasing dangerous and invisible gas into the air. A match dropped into heating oil will go out as if it were dropped into water. Converting to gas heat can cost upwards of $3,000 and a new oil system costs considerably less with an estimated savings of 25% in heating and hot water costs. Unlike natural gas, using oil heat for fuel is not a risk of explosion or fatal inhalation of fumes. Gas Heat bills contain “mysterious” costs like Gas Cost Adjustment (to recover operating costs). Benefits of Upgrading Heating Oil System – Safe & Efficient! Heating with oil provides you with a safe, efficient, modern option for all of your heat and hot water needs. Upgrading your existing equipment with modern oil heat technology can greatly reduce your consumption, even as much as 30%-40%! In this day and age of high energy pricing of all types, investing in conservation and efficiency is the smart choice. Contact our customer service staff to discuss how you would benefit from upgrading to a heating oil system. Considerable savings, avert explosions and carbon dioxide leaks as well as an overall cleaner burning fuel are some of the benefits we’ve outlined. We look forward to working with you to find the right heating solution for your home or office.